We were #6, 97 points. I'd take that this year. I'll tell you if we keep this up teams won't want to play us. Something just seemed different last night. Not our best effort at all, but they never seemed down or quit. Their effort in their own end was excellent overall. Yes Curtis was phenomenal, but the way they played especially in the 3rd I think says a lot about the belief and will of this group. Hope it continues tonight! 2hours before I leave for the game. Been a long time since I’ve had this level of expectation for a Game. It’s good to feel that way again. 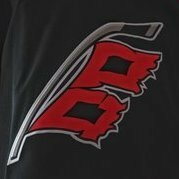 Validate this feeling for me tonight Canes. Calgary beat Pens and Red Wings tied with Flyers tied but won in OT? Come on Canes, time to move up? BTW, listening to the Aftermath last night on the way home, I hear the John Forslund is not going to announce this game. I'm sorry for you guys having to listen to John Shayla, but maybe he can be like our very own AWACS and turn his negative influence at games he attends, around? Normally I would be very concerned of the Shaya curse. I think he has only announced 1 win if any. I will override that voodoo with my personal appearance tonight. Little perspective on teams we no longer fear from the annals of US Grant. "As we approached the brow of the hill from which it was expected we could see Harris’ camp, and possibly find his men ready formed to meet us, my heart kept getting higher and higher until it felt to me as though it was in my throat. When we reached a point from which the valley below was in full view I halted. The place where Harris had been encamped a few days before was visible, but the troops were gone. My heart resumed its place. It occurred to me at once that Harris had been as much afraid of me as I had been of him. This was a view of the question I had never taken before; but it was one I never forgot afterwards. From that event to the close of the war, I never experienced trepidation upon confronting an enemy, though I always felt more or less anxiety. I never forgot that he had as much reason to fear my forces as I had his. The lesson was valuable." I’ll believe it when game 82 is over and we’re above the cut line...meanwhile, I’ll keep praying to the hockey gods, even though they’ve spited me for 7 of the past 10 Cup winners being the three teams I hate the most (Evil Empire, Hawks, and Craps). Third place in the Metro. Albeit not factoring beans in, but it would still look good on the standings board. Nope...I wanted Ovi to be eternally listed as “#1 player to never win the Cup,” but alas. trade staal for Seguin ! Time to break the Shaya curse and move to 3rd in the Met. Brave man, posting Grant in the South I like it. No thanks...there’s a reason he got traded from Boston...rumor has it he was doing a Lindros on Brindy up there and the management found out. that's not the full story . he was traded to dalas because boston wanted more depth players for only a few , they were trying to cash in during their cup run time and in the end it all fell apart , dalas still has seguin and boston has no one from that trade . also was not the bruins gm the same fool that got picked up by edmonton who then got fired this year ? lets go J WILL ! what a pass from Aho !